Exlinear is a new party format introduced by KLLDR, the new Techno alter ego of Tobias Kalleder, resident DJ and music director at Platoon Seoul. 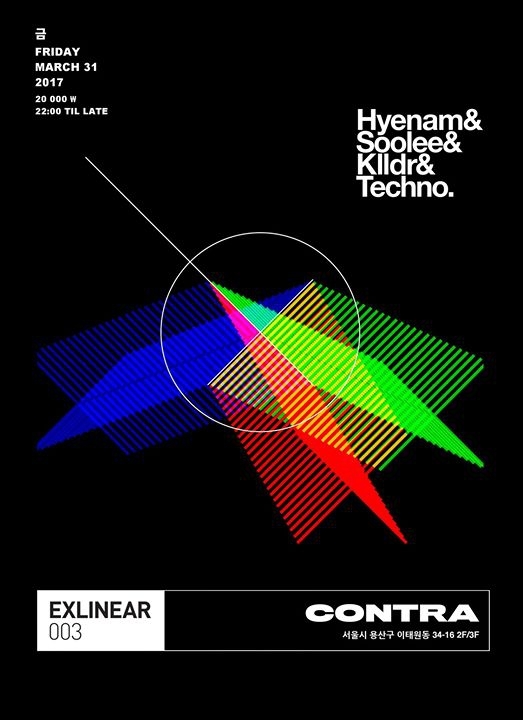 This time he's getting together his friends, Seoul techno veteran Soolee from more than less and Seoul techno vinyl connoisseur Hyenam, both part of Domenta the newly formed dj live hybrid act. Uncompromising & bold underground techno plus minimum set times of 2 hours to give each DJ enough time to take the audience on a journey into sound are the main focus of this event series.